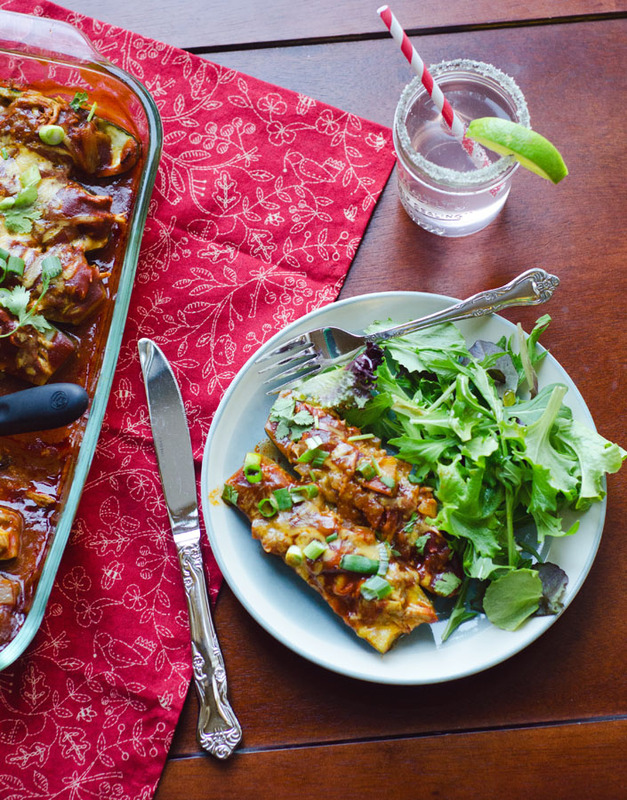 So…Let's Hang Out – Chicken Enchilada Zucchini Boats | Virtual Dinner Party! There will be talks of track suits, high fives, missed connections, and of course, the recipe for those delicious Chicken Enchilada Zucchini Boats! Plus, it will give you a chance to meet my friend Michelle. She is pretty great. Did I mention the girl can cook? I once made her recipe for Crispy Chicken Thighs With Kale twice in one week! Consecutively. That’s right, two nights in a row. Correct. You really won’t want to miss this recipe! The usual corn tortillas are swapped out for zucchini halves, leaving us with a lighter and healthier version of the classic enchilada. Healthy or not, they pack a serious flavor punch! Ok… let’s go get our virtual dinner party on! See you over there! Love you! They look so good! I can’t wait to make them! Maybe I’ll get a track suit to wear when I make them!